♥ I have a quick post to share with you today. Something simple and quick. I recently received two sets of spellbinders and I ♥ them! I can create anything I want now with my spellbinders: flowers, notebooks, tags ...I just need inspiration and ideas. Here is a simple journal notebook I made using Labels Ten Nestabilities. 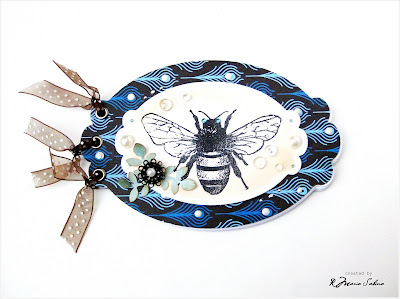 I adore this Big Bee by Stampotique Originals! ATC swap?Well I haven't made any in a while so I was very excited when I saw that Daniel from Daniels Hobbyblogg. is hosting an ATC swap. I'm not very happy with the final result , but I will try next time. this is really gorgeous. 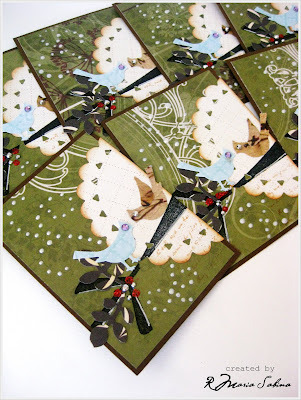 love the notebook and the atcs that you created! 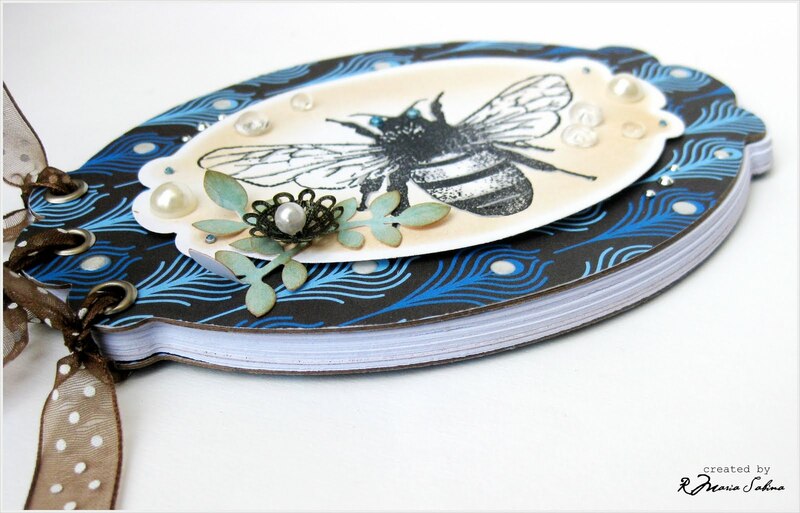 Love your Big Bee notebook! Great idea! 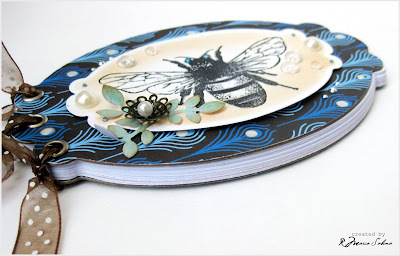 The journal is really cute and I love the bee! As for not being happy with the final product, I know that feeling all the time when I create, but then someone checks it out and they're like "What are you talking about?"... It's just the creative critique in you that questions your design! In my opinion, it's beautiful! Love the kissing birds! 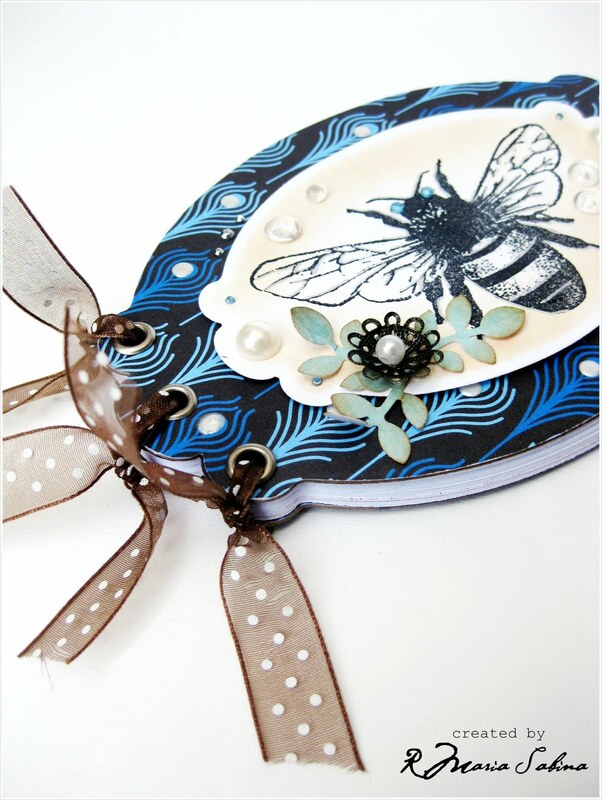 I've admired that Spellbinders die set, and I especially love how YOU have been using them! Gorgeous. I'm M A R I A - S A B I N A .Welcome to my blog!